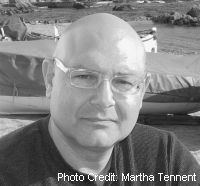 Based in New York, Lawrence Venuti is one of the world’s best-known experts on translation and translation theory. With such canonical publications as The Translator’s Invisibility: A History of Translation (1995) and The Scandals of Translation: Towards an Ethics of Difference (1998), his ideas have had a broad influence beyond the boundaries of the discipline. In 2000, he edited The Translation Studies Reader (reprinted 2004), which has become a standard reference work for courses on translation theory. Recent articles have appeared in journals such as the Harvard Advocate, Times Literary Supplement, Translation and Literature, Words without Borders, and Yale Journal of Criticism. He is a member of the editorial and advisory boards of various journals, including Palimpsestes; Reformation: The Journal of Tyndale Society; The Translator: Studies in Intercultural Communication; and Translation Studies. Venuti teaches at Temple University in Philadelphia. Venuti has received numerous awards for his own richly complex translations from the Italian, French, and Catalan, including recognition from the PEN American Center (1980), the Italian state (1983), the National Endowment for the Humanities (1989), and the National Endowment for the Arts (1983, 1999). In a wide-ranging talk, Lawrence Venuti moves from Saint Jerome’s thoughts on translation in his famous letter to Pammachius to the reflections of contemporary French philosopher Alain Badiou. Lawrence Venuti will discuss the intricacies and possibilities for translators and readers created in the transmission and reception of texts.